Fork extensions, sometimes called ‘slippers’ or ‘tine extensions’, are attachments that are sleeves that fit over the forks to extend their length. They make a forklift more versatile. For example, as long as the rated capacity isn’t exceeded, they can carry two pallets or they can load or unload from one side of a truck rather than having to switch sides. They are designed for light, bulky loads, not dense, compact loads. They are usually limited to 1.5-1.67 times the length of the forks they are fitted to and the inner width should be no more than 50% more than the width of the original fork. Extensions are designed for occasional use only. By fitting the forks, the forklift’s capacity is derated, i.e. if the extended load centre length is used, less weight can be lifted. The attachments should be supplied with a rating chart to inform you of the change in the capacity and the forklift itself will have a chart to explain its capacity at different load centres. 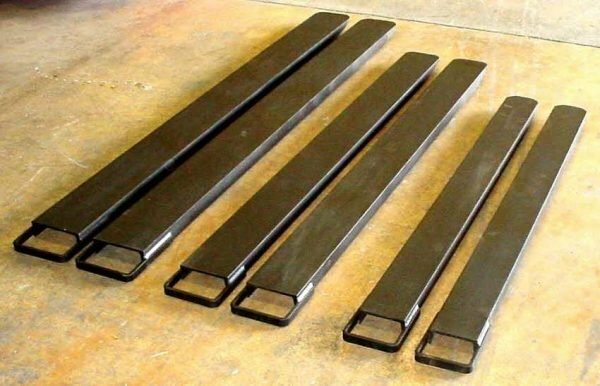 If your requirements are for longer forks all the time, it’s better to purchase a forklift that comes with longer forks rather than using slippers. Fork extensions that are greater than around 1.5 times the length of the original forks tend to bend downwards around the tip of the original forks unless they have additional strengthening internally on the unsupported length. Loads should never be lifted on the tips of fork extensions as they are comparatively weak and will bend easily. The centre of gravity of the load should sit over the original forks, not the extensions. Check the locking/toggle pins regularly. 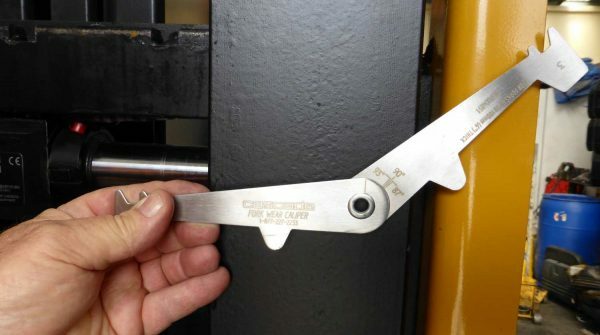 Use a fork measuring gauge to check the wear. 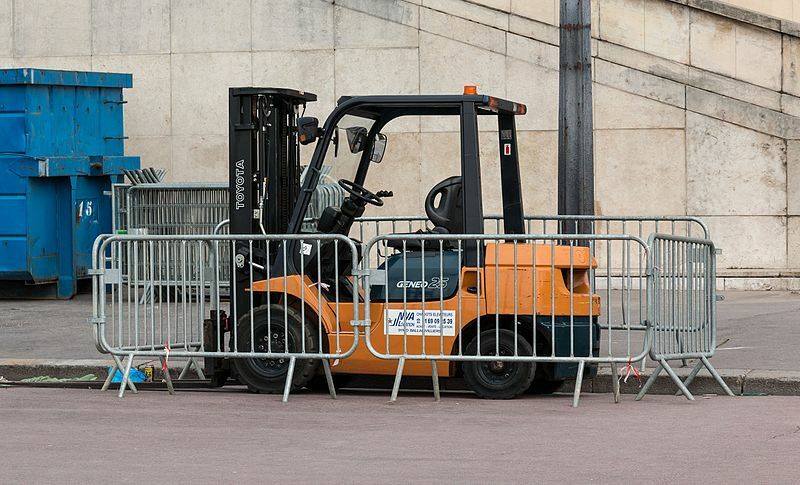 Park in a safe and convenient place using safe parking methods (handbrake on, neutral, engine off [if your workplace requires it]) – bear in mind your forklift will be longer after you’ve attached the extensions, so don’t park in a space you won’t be able to get out of. 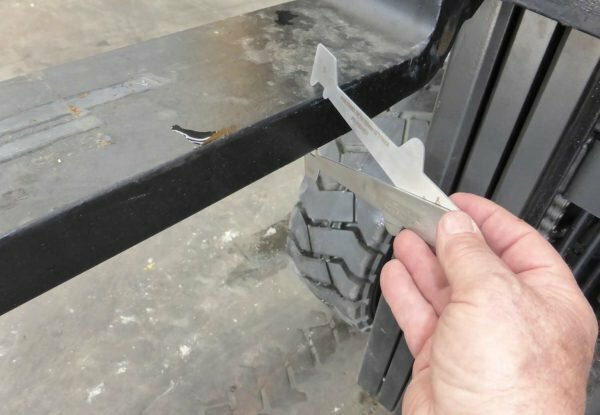 To put them on, the forks can be level or tilted back slightly and around axle height – they should slide on easily holding them at around a 45-degree angle. If they have loops, slide them along the length of the fork then lower the extension onto the fork (it’s basically a channel that sits over the fork). Check the loops sit behind the heel (where the fork becomes upright). If they have locking pins, they won’t have loops – with these, you can drive the forks into them if they are level. Fasten the locking pins and check that they won’t slide off. To take them off, raise the forks a bit, tilt the forks forward, undo the locking pin and slide them off. If you either haven’t raised the forks enough or you’ve tilted them forwards too much, the slippers will hit the floor before you can get them off the forks. Store them in a dry place where they will not be a hazard to pedestrians. 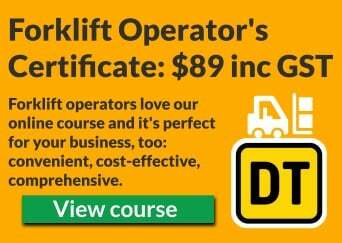 ‹ Does your forklift need to be registered?